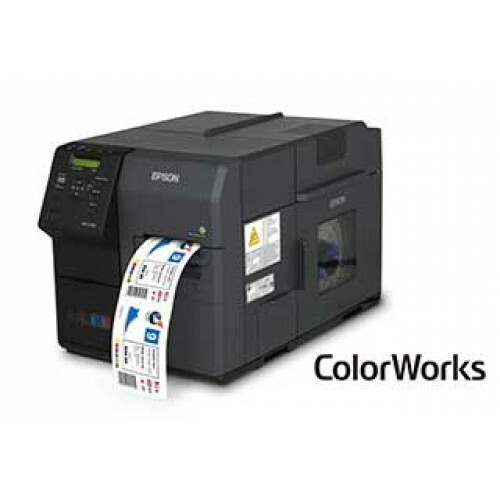 The ColorWorks C7500 printer is designed to efficiently and cost-effectively meet the needs of industrial manufacturers fulfilling high mix label requirements and variable printing demands. Epsons patented PrecisionCore technology is a critical feature that enables the new printer to deliver speed, economy and print quality to manufacturers. The modular print chip merges enhanced print speed, image quality, ink durability and color resolution with the flexibility to cost-effectively scale up production as needed. 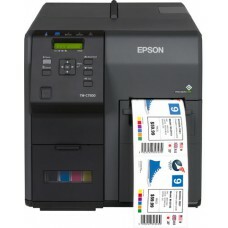 Epson ColorWorks C7500 - InkJet Color Label Printer, 4 width, USB/Ethernet Interfaces.